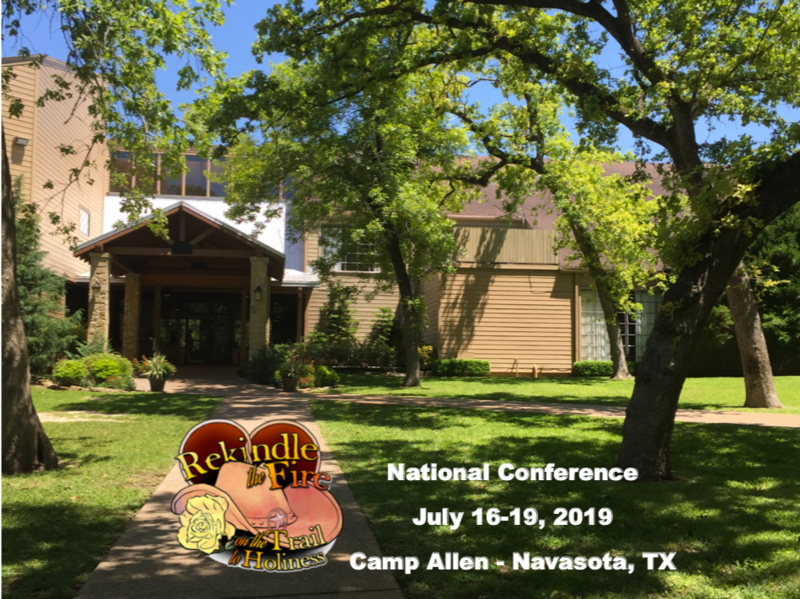 The next Teams National Conference will be held July 16-19, 2019, at Camp Allen in Navasota, Texas. Registration is now open. There are a limited number of spaces available, so register today to attend this one-of-a-kind event. Early registration is encouraged. 50% of the rooms are now reserved. At the Teams of our Lady National Conference, more than 800 teams in the country are invited to come together as one united to share our married spirituality with other married couples. We invite you to come join us in experiencing the greater Teams movement that has inspired and impacted the lives of Catholic families across the country. You don’t want to miss it! You may register for the conference by clicking here and completing the secure online registration form. 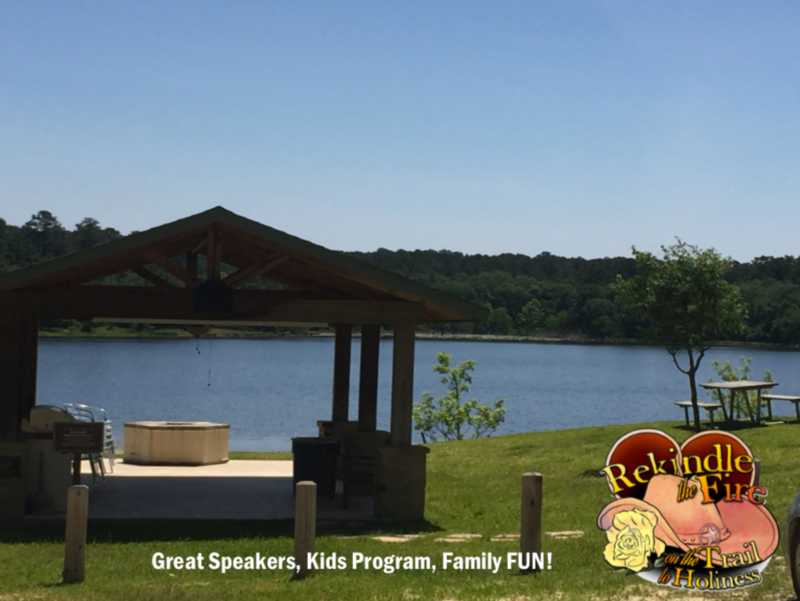 Conference spots will fill up quickly, so register today! You may register online at the link above. This is an exciting opportunity to meet Team members from across the country and celebrate marriage. 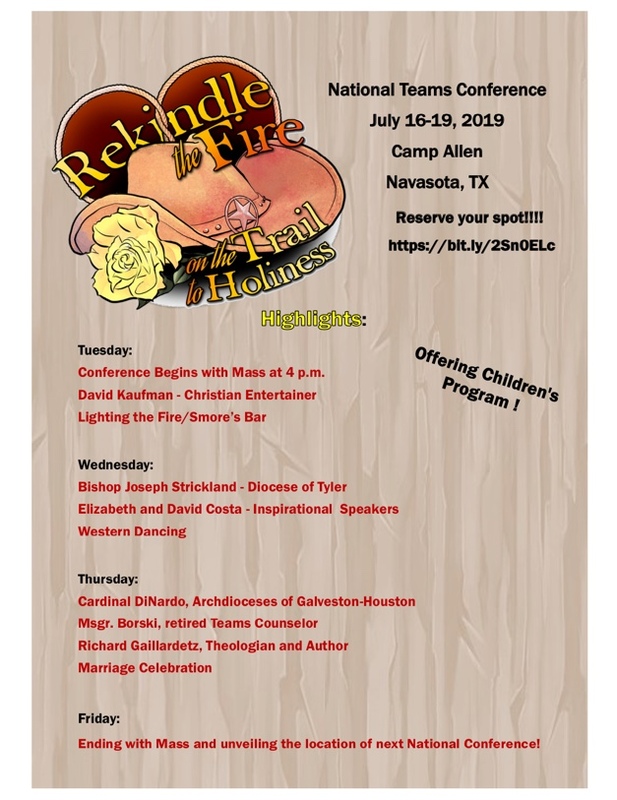 Some guest speakers include Daniel Cardinal DeNardo, Archdiocese of Galveston Houston, Bishop Joesph Strickland, Diocese of Tyler, David Kaufman, Christian Entertainer, and Richard Gillardetz, Author and Theologian. We will also have a children's program and lots of family fun entertainment including western dance lessons and a celebration of marriage with wedding cake, music and dancing! You can also visit the Teams website under New/events for more information. Stroll the River Walk, visit the Alamo, Sea World, San Antonio Missions National Historical Park, Guadalupe Cathedral, the Mercado, the Zoo, Fiesta Texas, Sea World Aquatica Waterpark, Botanical Gardens, Witte Museum, Natural Bridge Caverns, Kiddie Park. Go to an Astro's game, Johnson Space Center, the Aquarium, the Children's Museum, the Zoo, Kemah Boardwalk, Museum of Natural Science. Ice skating at the Galleria. Go to the beach, Moody Gardens, Galveston Island State Park, Pleasure Pier Amusement park, Schlitterbahn, Lone Star Flight Museum, Tall Ship ELISSA. Visit George H. W. Bush Presidential Library, St. Mary's Catholic Center, A & M Hall of Champions, the 12th Man Statue, Bonfire Memorial, Albiritton Bell Tower, The Corps of Cadets Center, Aggie Park and stop on the way to visit the Blue Bell ice Cream Factory in Brenham. State Capitol, Bullock Texas State History Museum, LBJ Presidential Library, Inner Space Cavern, Lady Bird Johnson Wildflower Center, Franklins BBQ, Barton Springs/Creek, the South Congress Bridge at sunset to see the bats fly,Texas Memorial Museum, Austin Nature & Science Center, Zilker Park, Lake Travis. New Braunfels, Fredricksburg, Luckenbach, Waco.